Food handling occurs on a daily basis, both in the workplace and at home. Although we may not be consciously aware of it, there is an invisible enemy lurking within our kitchens and without taking proper precautions, harmful bacteria can invade our food products, kitchen surfaces, knives and other utensils. This is why practicing good food safety is vital in averting foodborne illnesses. Microorganisms can be transferred from one food to another, just by using the same knife, cutting board or other utensils without proper washing in between. 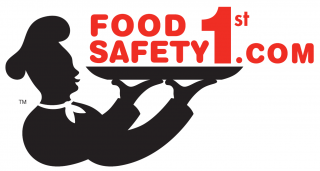 Engaging in and using food safety benefits and safeguards the health and well-being of all staff and consumers. What are the consequences of mishandling food? What are the symptoms of food poisoning and are there any long-term effects? What are some common misconceptions about food safety?